Grand Hyatt in Dubai is home to many good restaurants and iZ is the Indian restaurant serving North Indian cuisine. Recently, I was invited to iZ to enjoy their Thali lunch that happens every weekday from Sunday to Thursday. Located at the lower lobby level of the hotel, you have to pass the beautiful tropical gardens to reach the restaurant. The decor of iZ is modern, chic and elegant. They have an indoor and outdoor seating area and you get a view of lush green garden from the restaurant. iZ has an open kitchen concept, with a sophisticated and contemporary kitchen where the chefs prepare food in front of you. They are especially popular for their tandoor dishes. As I visited them for their Thali promotion, I didn’t look at their a la carte menu. I did go through their drinks menu, and it has a wide array of non alcoholic and alcoholic drinks. 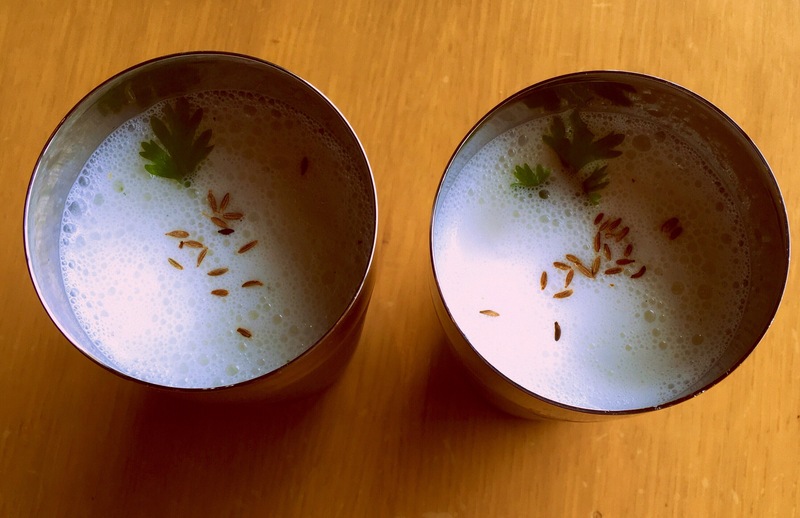 Though Chaas is included in their Thali promotion, we wanted to drink something chilled to beat the heat. We ordered a Lemon Cooler and Rose Lemonade. 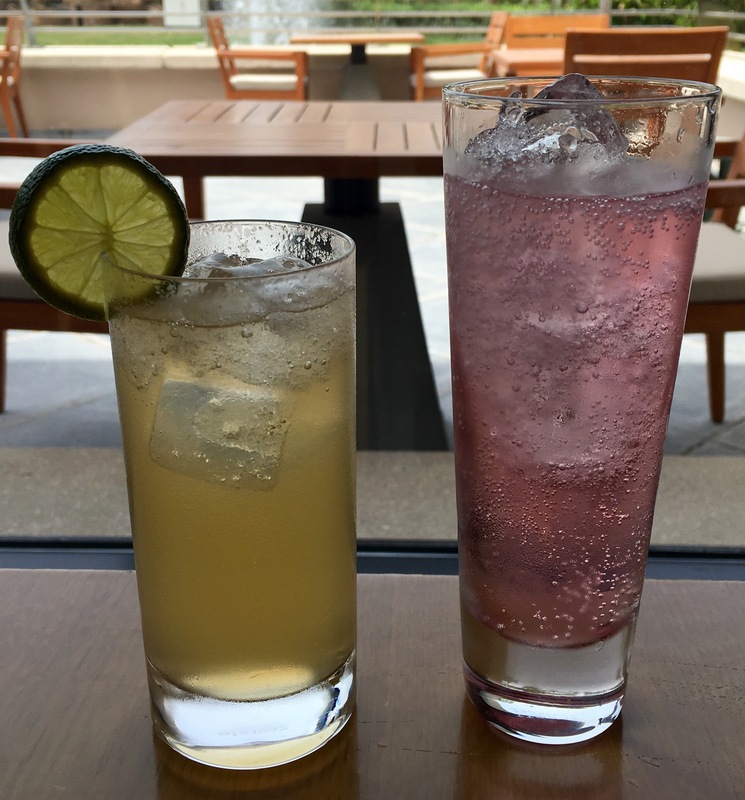 Both our drinks were refreshing and just what we required on a super sunny afternoon. The Thali promotion offers both, veg and non veg options. 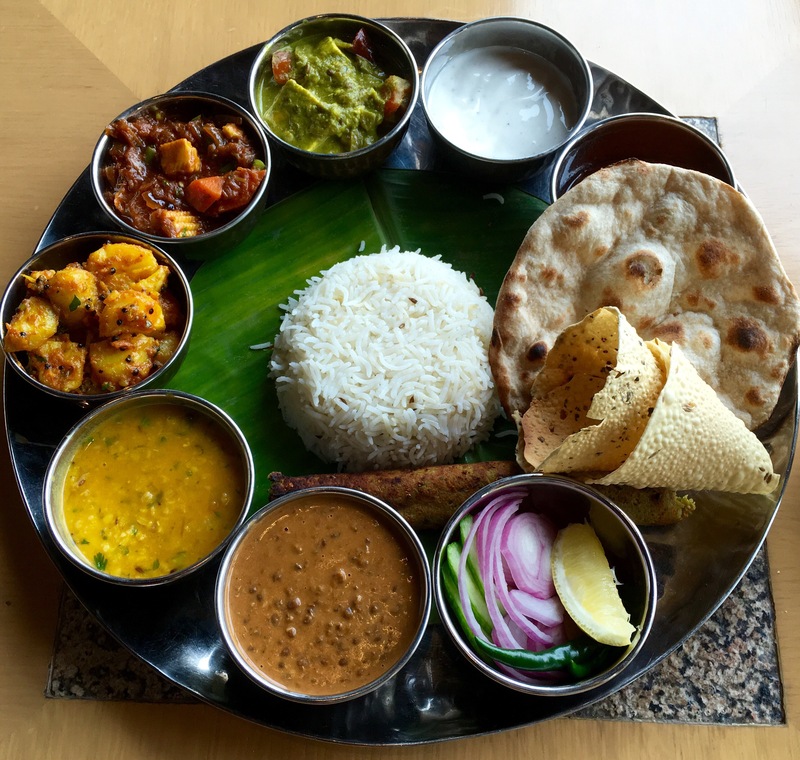 It consists of an assortment of ten dishes in a Thali(plate). The Thali includes a starter, salad, papad, a variety of main course dishes, roti(bread), rice and dessert. It also includes a yogurt based drink. All this for a very reasonable price of AED 88 per Thali. The Butter Milk or Chaas is a flavored butter milk made with yogurt, black salt, cumin and mint. It is very refreshing and healthy. The Best drink for summer. Each and every dish in the Thali was good. The veg seekh kebab was succulent and tasty, the potato curry was delicious and well cooked, the yellow dal and dal makhani had a homemade flavor, the vegetable curry and palak paneer were rich in flavor and taste, the Gulab jamun was scrumptious, the jeera rice was perfectly cooked and went well with all the other curries and the whole wheat roti was soft and fresh. The portion size was perfect, the meal was light, well cooked and delicious. 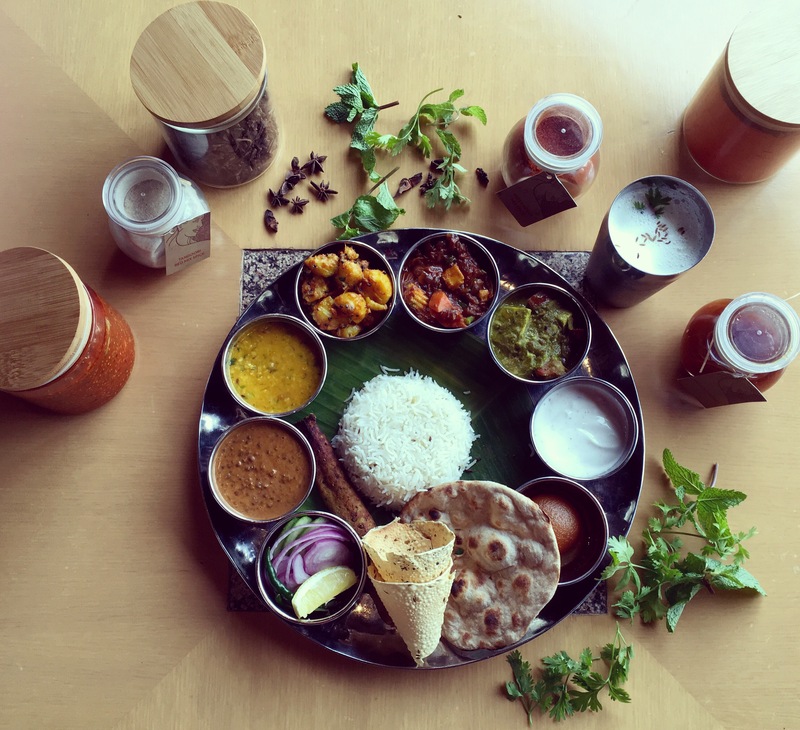 The lunch Thali promotion is definitely worth trying.